Saluton, faithful Succotash listeners, 2nd timers and people just trying out the soundcast app on their phone. Is it Google Play? Spotify? Laughable? Some other thing? However you listen I'm grateful to you for it. I'm Tyson Saner and I'll be your host for this clips episode of Succotash the Comedy Soundcast Soundcast. I've assembled clips from a few soundcasts I've enjoyed recently, including Bad Science, In Poor Taste, Vinyl Emergency, Welcome to Television, Defunctland and This Sounds Serious. 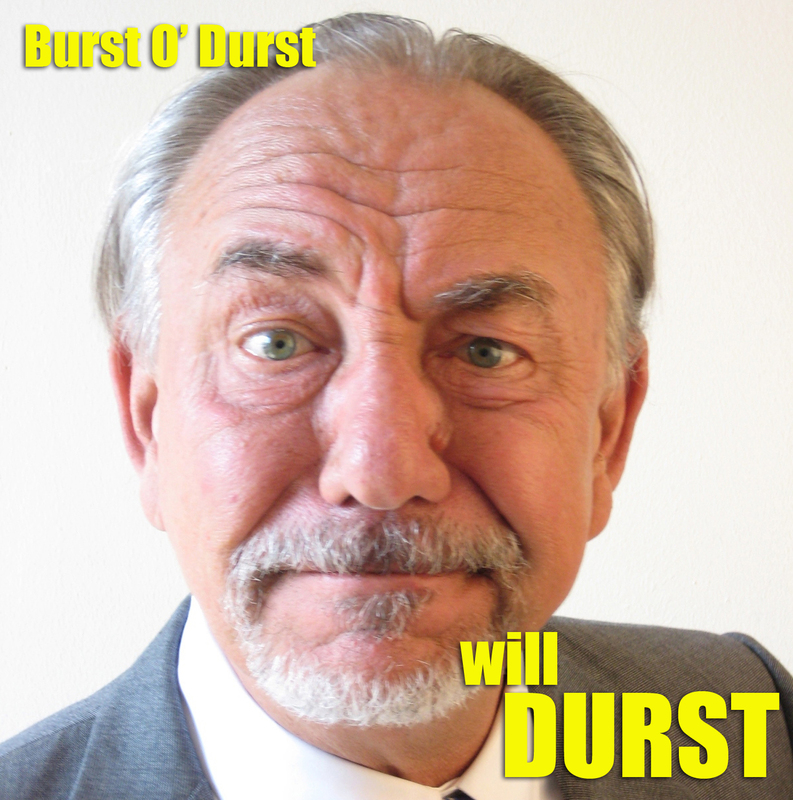 We've also got a single shot of raging moderate Will Durst's Burst O' Durst segment and a classic Henderson's Pants spot. The homesite for Bad Science tells us that they are "breaking down the 'bad science' of popular movies with comedians and scientists." Their second-ever epi features Doug Benson talking with two physicists about Back to The Future. The host is Ethan Edenburg from The Cooties. As they say - "Warning: There will be spoilers." So if you haven't yet seen 1984's BTTF, you might want to skip ahead because here's a clippet from Epi 2 of Bad Science. In Poor TasteAs is told in word-stylings on the In Poor Taste homesite, "Eric and Sean meet twice a month in a pod floating down the Monongahela River to record distaste for one person to listen to. Will they get sued, cancelled and generally assaulted? Yes. 25 Minutes of goofs, 5 minutes of commercials, 25 minutes of goofs. We have recurring characters, sketches, segments and guests! Also, new things happen! It's a podcast!" OUr sample for you today is from Epi96, which dropped on April 27th, 2018. Here's a soundcast that is not a comedy soundcast but touches on a subject I can relate to, due to my earliest experiences with comedy being delivered to my ears through the medium of vinyl records. here was a comedy section of vinyl for rent from "Peoples Records" here in Arcata and it's where I first discovered the joys of Firesign Theatre and Doctor Demento complilation albums...but back to "Vinyl Emergency", the iTunes description says they "sexplore the thrill of records and music in general, whether examining the recent vinyl resurgence or recalling the first albums that changed our lives. Guests range from musicians and industry folks to avid record collectors and close friends, all with captivating, personal stories involving vinyl." Hosted by Jim Hanke, who is a frequent guest vinyl consultant on Chicago's WGN 720AM, as well as a freelance contributor to the Milwaukee Journal-Sentinel, Modern-Vinyl.com, Sock Monkey Sound and various other media outlets since 1994. Our clip is from Epi61 where Mr. Hanke interviews Speech of the musical group "Arrested Development". Longtime listeners may recall the soundcast known as The Angry Chimp. We played a clip of them back on Epi84, which also featured OG Succotash host-now-executive-producer Marc Hershon, clips of about six soundcasts and an interview with Greg Fitzsimmons. Welcome to Television is a different sort of Soundcast to The Angry Chimp and its iTunes description sums it up this way: "Have you ever been watching TV and thought 'I wonder what three idiots think of this?' Well, you are in luck. Stu, Mick, and Monty take a look at what is happening in TV in Australia and then they speak about that look, hopefully in an entertaining and informative way but more likely in a way that makes you say 'These guys have a show?'" This clip is from their second episode, "Ramjet's Pingas" published on April 26th of 2018. DefunctlandI have a bit of a fascination with amusement park rides and attractions...particularly dark rides and their designs. That's how I stumbled across this collection of audio entertainment. Defunctland has been a soundcast on iTunes since August 14th of 2017 but my first experience with it as a program was as a series of documentary videos on show creator Kevin Perjurer's YouTube Channel. On the show, Kevin and his guests discuss theme park attractions of the past, present, and future. This clip is from Epi5 from October of last year, and features and interview with puppeteer, artist, and former Disney imagineer Terri Hardin, and features part of a longer story about what it was like working on the spectacular attraction from George Lucas, Francis Ford Coppola and Michael Jackson: Captain EO, specifically working with the late Jackson. P.S. Kevin's goal is to re-create these defunct attractions in a virtual space, so the public can get an idea of what it was like to experience them. Defunctland was also featured in an article on SyFy.com which you can find linked here. This soundcast from Kelly & Kelly is pretty new, from Castbox, an also-new podcast creation company. Are you a fan of the first season of Serial? Do you enjoy true crime programming, including true crime soundcasts? This is something like that - here is how the iTunes description put it: "Florida, 2007: A famous local weather man is found dead in his water bed. His brother calls 9-1-1 to report the murder. This sets off a shocking series of events involving cults, boy bands, horses, and mistaken identity. From CastBox and the comedy producers behind Stop Podcasting Yourself, CBC's This Is That, and Dexter Guff comes a story so believable it can't be true." I shouldn't say to much more at this point. Our clip is from the debut episode, entitled "The Call". Well, it's over. Not for good but for now. That clown in the sky has begun to cry his bizarre painted-on tears but I'm pretty sure it's just from coasting downhill on a bicycle without adaquate eye protection. Like goggles. Regular glasses wouldn't cut it and, well, when's the last time you saw a clown wearing glasses? Aside from those ones of me on my Soundcloud and Instagram profiles that is? Never mind. It's a rhetorical question. The point is I've got no more show for you at the the moment and I'm just stalling for time. I have fun doing this. So for the gang "here" I've been Tyson Saner attempting to bring little bits of the audio parts of the internet to you so that you might perhaps be interested to find these shows on your own. Or ones I haven't discovered yet — and believe me, there are THOUSANDS — I've put that in all caps for emphasis so you know I'm serious. If you've enjoyed the time we've spent here I'm very glad to imagine that, it means I'm doing my job. So until next time I'll bid you a fond farewell and , If i could, remind you to have fun in your life when and if you are able. And if you would also remember to please, pass the Succotash. Yes, for all intents and purposes it is I, Tyson Saner. Your host for THIS episode...and a few before it... but this one is different. As you may or may not have noticed from the episode title this week, it's a chat episode. I've been fortunate enough to snag an interview with Davian Dent of both The Bitter Sound and the oft-clipped-for this show Strange Times. 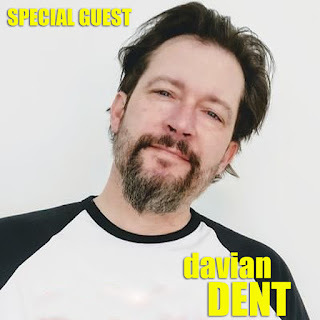 Long-time listeners of Succotash, The Comedy Soundcast Soundcast, might recall that Mr. Dent is, in fact had been a guest on this program waaaaay back in 2014 in Epi85, subtitled "Delvin' with Davian Dent", when the show was still hosted by our esteemed Executive Producer, Marc Hershon. The show was still called "Succotash, the Comedy Podcast Podcast" as well. There's more of this interview than you're going to hear in the show — I've left it off because I'm trying to avoid a two-hour runtime for the episodes that I'm editing. I had a great time chatting with Mr. Dent and I even had the chance to appear on his show Strange Times in episode 259 called "Dog Egg" for reasons I wasn't aware of until I listened to show from the beginning. Our announcer, Bill Heywatt, appeared on episode 257 of Strange Times. (I should point out that, although it was listed as "episode 257", the audio is actually from an episode of one of Mr. Dent's soundcasts called The Blank Planet from 2015. I've also got a double dose of raging moderate Will Durst's timely Burst O' Durst segments. I play them throughout this episode and give them their proper introduction with some great public domain stock music I picked out myself. I'd like to extend my gratitude to Mr. Dent for being a supporter of Succotash over the years. I'd also like to thank YOU, the listener who has listened faithfully as time has marched on and also to those who have clicked on the Amazon Banner at the head of our page at SuccotashShow.com to donate simply by shopping as you normally would. I am eternally grateful that you spend time here with us and, until next time, this is Tyson Saner for Marc Hershon, Bill Heywatt, and — for this episode — Davian Dent, gently reminding you to please...pass the Succotash.